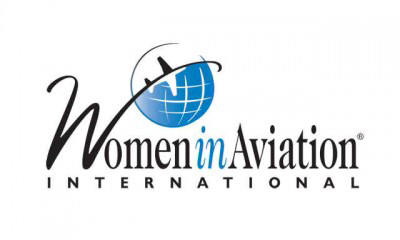 WAI provides year-round resources to assist women in aviation and to encourage young women to consider aviation as a career. WAI also offers educational outreach programs to educators, aviation industry members and young people nationally and internationally. Our most recent initiative is our Girls in Aviation Day program for girls ages 8 - 16. One of the most exciting benefits of Women in Aviation International memberships are the scholarship we are able to offer. Available scholarships are announced each summer and application deadlines will be late November. Scholarships will be awarded each year at the annual WAI Conference. The opportunity to attend a Women in Aviation conference is more valuable than you can imagine. It is an inspiring and amazing event where over 3000 women are passionate about aviation gather together to learn, support, network, mentor and grow. There is no other venue on earth I know of that accomplishes so much and makes you so proud to be part of the Women in Aviation sisterhood. You will walk away from the conference with renewed passion, determination and desire to continue to pursue your aviation dreams. If you have never attended a conference definitely consider making this the year you go! Chapters provide local networking at regularly scheduled meetings, programs that include local speakers and tours of aviation facilities, community outreach efforts to encourage young people to pursue aviation careers and regional scholarship opportunities. Maximize your WAI membership experience by joining a chapter, and benefit from educational and networking activities throughout the year. Join our Winnipeg chapter today! Don't forget to select Northern Spirit for your WAI Chapter Affiliation.